RIGHT SPEAK: Ted Cruz denies reports about replacing Sessions as he praises him as "a friend and a strong conservative"
Ted Cruz denies reports about replacing Sessions as he praises him as "a friend and a strong conservative"
US Republican Senator Ted Cruz has denied rumors that he is on President Donald Trump’s list of possible replacements for Attorney General Jeff Sessions. “Jeff Sessions is a friend and a strong conservative. 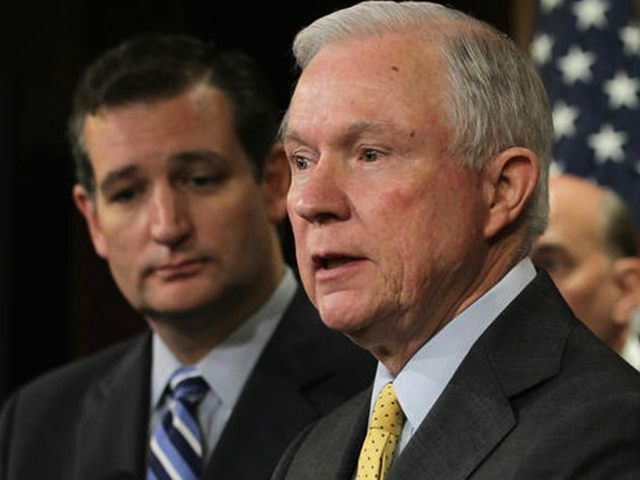 I was proud to vote to confirm Jeff and to vigorously defend his confirmation, and I’m deeply gratified that we have a principled conservative like Jeff Sessions serving as Attorney General,” Cruz said in a statement on Monday night. The statement came shortly after The Washington Post claimed in a report that Cruz and former New York City Mayor Rudy Giuliani were shortlisted for the job. Giuliani, a Republican and a strong ally of the president, has also denied the report.